Datsun wants you to think of it as a smart family wagon, which can take care of all your BIG family car needs. They have managed to squeeze an extra seat, give more space and features and almost everything without going generous in length by sticking to the sub-4-meter mandate. How good is it in real? We tell you. The inside feel of the cabin is not premium justifying its affordable price tag. The trims and designs have been kept very basic concentrating more on functionality than aesthetics.What comes straight from Infiniti, luxury division of Nissan, are spinal support front seats. These seats have individual support points for the pelvis and the chest thus cancelling the stress causing by bending moments. In terms of features, it gets a MDS – Mobile Docking Station mounted on the front dashboard. It looks simple but has its high points considering Indian consumers are fast moving towards smartphones. There is a USB charging slot and an AUX input which can pair with a smartphone and play music, navigate or even take calls depending on the features of the Smartphone. The driver gets a big three spoke steering wheel which offers adequate grip. The instrumental cluster has an analogue speedometer and a digital tachometer. It also shows information on average fuel consumption, low fuel warning and distance to empty. To help reduce fuel consumption it also comes with a gear shift guide which aids the driver to shift gears at correct engine speeds.The gear stick has been smartly shifted from the floor to the dashboard. It is very conveniently positioned and is in very easy reach of the driver. The change in position of the gear stick makes the seating very spacious. But on the flip side it keeps touching the knee of taller front passengers. The base variants will get plain fabric upholstery while the premium variant gets Jacquard fabric upholstery which has a special pattern on it. The seats are bench type and Datsun claims that the front seats have been specially designed to keep the fatigue level low. The rear seats have a flat rear support and can do with some more cushioning. Both row seats come with integrated headrest. The third row seat, which is the main reason for the Go+ to qualify into an MPV is best suited for luggage bags primarily followed by younger beings as it is impossible for an average sized adult to fit in this zone.Being a Japanese soul, the Go+ gets lot of practical spaces for storing mundane articles. Front door pockets can hold 1.5 litre bottles while the rear doors don’t get similar options. Fold the third row seat and you can free up to 347L of boot space, enough for the weekend. The Datsun GO+ MPV is also powered by the same engine which also does duty on their Go hatchback because Datsun has not yet introduced any other engines in the Indian market yet neither any product. However, it will be interesting to find out whether this three cylinder 1.2 liter engine which returns 68 bhp of peak power and 104 Nm of torque mated to a 5 speed manual transmission will be powerful enough to carry a vehicle with 7 passengers inside it. The 1.2 Liter engine fitted under the hood of the Datsun Go is definitely smooth and refined but after all it is a 3 cylinder engine push it hard and it surely sounds unhappy. Datsun also has plans to introduce an automatic transmission in the near future and a diesel engine which will power both the Go hatch and the Go+ MPV.Beside all this the tiny 13 inch thin tyres and the overall lightweight of the vehicle will contribute towards returning an impressive fuel economy which will definitely impress many in the Indian market specially keeping the soaring petrol prices in mind. This one also drives better than its smaller sibling as the suspensions have been tweaked to take on that extra bulk. Sourcing it from their premium luxury brand – Infiniti, the Go+ gets a high response linear damper system, which is quick and highly effective in absorbing uneven undulations with a faster response timing than others in the same segment. This feature proved its worth when we threw it on harsh roads near Risihikesh, where the harshness was completely disconnected. It also gets long travel suspension in the rear. It may not look appealing from an aesthetic sense but with its length, it breaks the resonance effect of hard road conditions without making the wheels touch the inner fender even on extreme surfaces. The Datsun GO doesn’t come with ABS and airbags, not even as an option on the range topping trim. This comes as a surprise, considering the fact that Nissan is offering the Micra with driver airbag as standard across all variants, even the Micra Active XV S comes with driver and passenger airbag along with ABS, EBD and BA. After the Global NCAP tests of some Indian cars, the awareness of safety aspect on cars is growing amongst Indian buyers. Nissan should consider offering ABS and at least a driver side airbag as an option if not standard equipment on the Datsun GO in the near future. 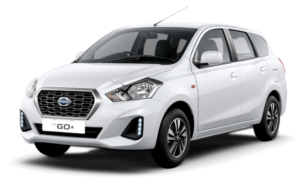 The Datsun GO is being targeted at first time car buyers in India and if you are one of them, you will notice that your checklist tallies all the right boxes with the GO. Nissan’s new entry-level hatchback is big in size and has smart styling cues that will make you give it a second glance after parking it. It has ample amount of space to accommodate five people and good load of luggage with ease. The GO offers some smart features while keeping the costs in check. The frugal yet powerful engine along with the mature suspension setup makes driving easy and comfortable in city as well as highways. Yes, cost cutting is evident and it lacks the necessary safety features but at the end of the day, it’s offering huge bang for your buck and is a tough nut to crack in this segment. What Is Tummy Tuck & Step By Step Procedure In Abdominoplasty?